Amongst the more than fifty well-kept chalets that line the beach is the Hostal Maruja which has sat at the centre of this parade for sixty years and as you can see from the images, hasn’t changed at all. 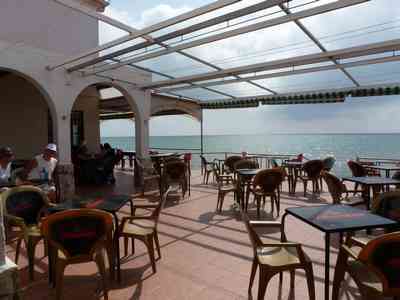 El Pinet is in a quiet rural area just outside the village of La Marina which is typically Spanish and you will be able to find a wide selection of pleasant bars and restaurants to suit all tastes. There is an English Butchers in the village, papershop, chemist, grocery store etc and a short 5 minute drive you will find a large supermarket and the new Iceland store selling all your well known brands. 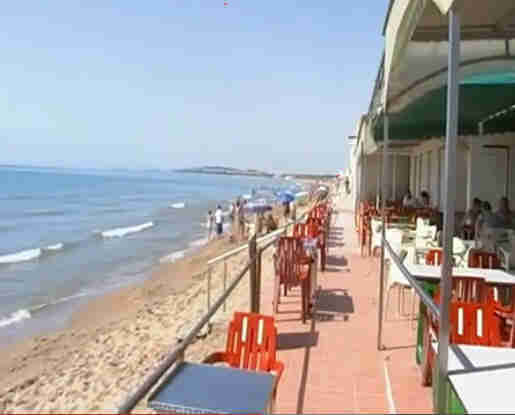 The beach at El pinet has long been a favourite with the Spanish due to its beautiful golden sand and beachside eateries. 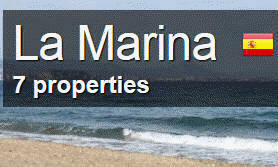 The apartments listed below are a pleasant 10 minute walk through the pine trees and salt lakes to reach the beach. It is also a very popular area for bird watchers due to the wide variety of bird life which the salt lakes attract. 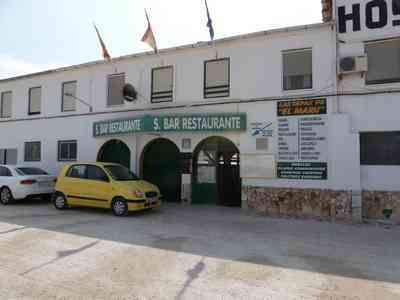 Located in La Marina and a 5-minute walk from the beach, Resort Internacional. Bellavista, La Marina La Marina This large detached villa (180 m) stands in a spacious palm garden of 840 m in a self-contained property. 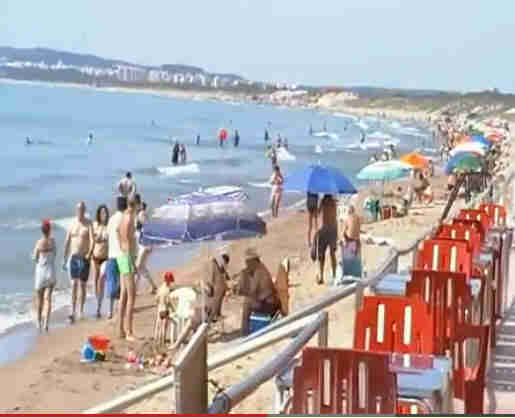 The beach is the main attraction for holiday makers staying at our apartment above,,,,,,,, especially for the Spanish holiday makers who simply love the place. 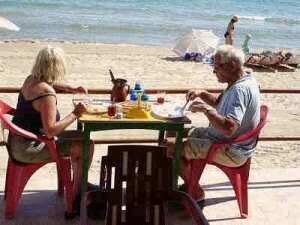 A pleasant stroll by the lake and through the pine trees will bring you to the beach where there are a few typical Spanish restaurants such as Hostal Maruja offering inexpensive dishes of the day or a cool relaxing drink. 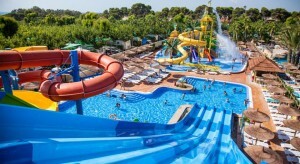 The warm Mediterranean sea provides all year round swimming and the excellent climate means you can even sun bathe in December as temperatures can reach as high as 25c. The village of La Marina is small and quiet yet there are plenty of good restaurants, bars and shops to keep most people happy. It is about a 10 minute walk into the village so a car is unnecessary though it is worth traveling a few miles further down the coast to the lovely town of Guardamar where you will find more wonderful beaches, a ruined castle and marina. In July thousands visit this town to see the annual Moors and Christians festival which is quite a spectacle. 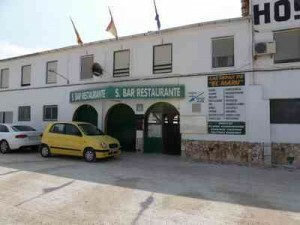 The Hostal, owner,is Jose Antonio, who has been coming here every year of his life (he’s now sixty three). 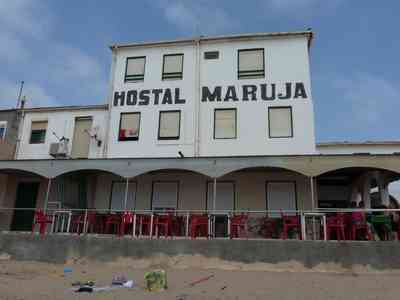 This is what Hostal Maruja looks like from the road plus a beach side view. 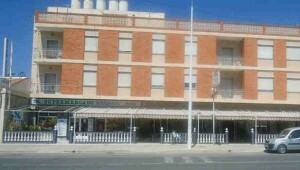 Hostal Maruja is one of the hotels at El Pinet, and also an excellent restaurant, with some of the best local food I have ever tasted. 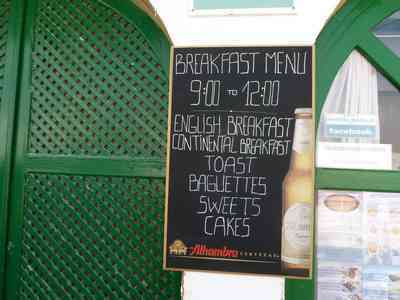 In the summer season June 1st to September 30th, the restaurant starts the day with breakfasts from 9.00 to 12.00. Enjoy the ambience of the Hostal beach-front bar restaurant, whilst partaking of a plateful of sardines and a bottle of wine or breakfast or perhaps that romantic evening meal. 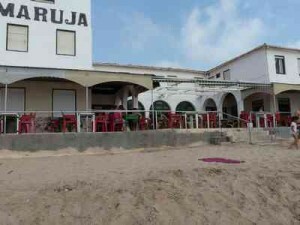 ** Mixed Fried Fish (Squid, Pescaditos, Chipirones,and Prawns,). ** Then your Choice of either Grilled Sardines or Kebab. ** Then your Choice of either Ice Cream or Coffee. 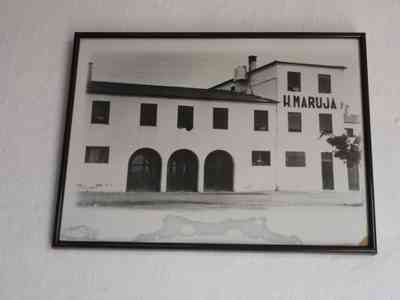 Price per Person 12,90 €. 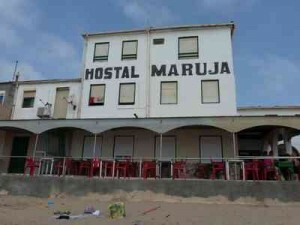 To book a room at the Hostal Tel: 96-541-9126. The beach at El pinet has long been a favourite with the Spanish due to its beautiful golden sand and beachside eateries. 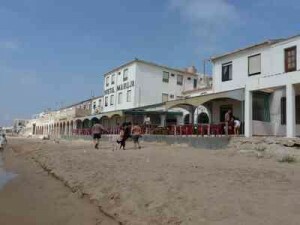 The apartments listed above are a pleasant 10 minute walk through the pine trees and salt lakes to reach the beach. It is also a very popular area for bird watchers due to the wide variety of bird life which the salt lakes attract. 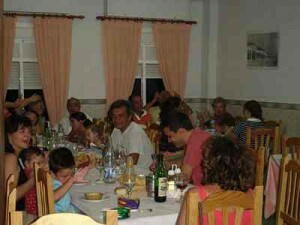 snap shot of Spanish life, past and present. The beach at Playa del Pinet is completely unspoiled with sand dunes and long fine golden powdery sands sloping gently down to the warm, shallow, clear waters of the Mediterranean. 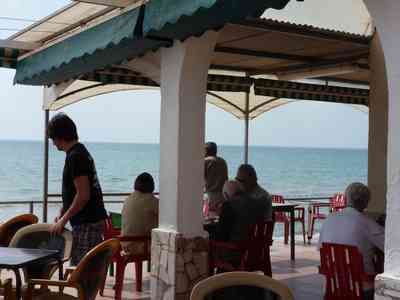 There are a couple of small restaurants on the beach offering a variety of dishes throughout the day at attractive prices.